“Off the Wall” is a month-long exhibition featuring work by contributors of the guerrilla art operation, Pig Kicker Stickers. This exhibition celebrates the creation and mobility of vinyl artwork, with the intention of making beauty affordable and accessible. 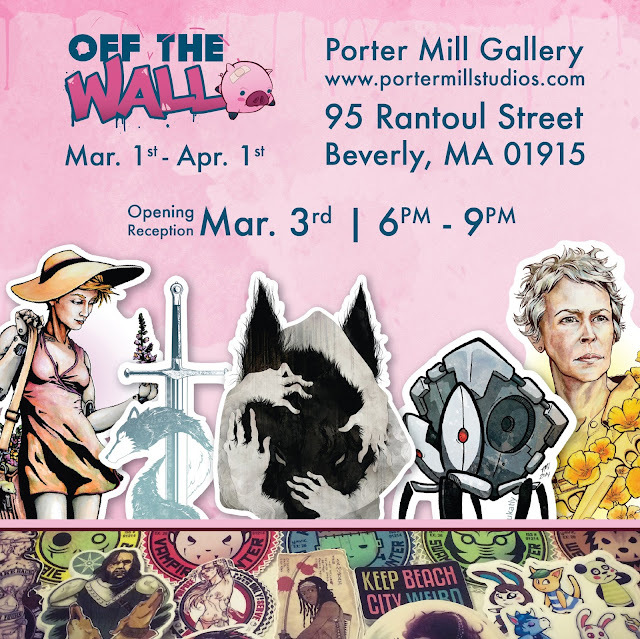 Featuring original pieces and never-before-seen production sketches alongside finished products, “Off the Wall” offers new insight into the making of durable, stickable art. The opening reception will be held on Thursday March 3rd from 6pm to 9pm with wine and hor d'oeuvres being provided free for attendants. An exciting show with great art, great music, at one great local gallery. Come on down to the Mill!